I replied that I found blog posts of a few words get scores of ‘like’s and followers while long, studied, researched ones with a lot of information get very few. And, moreover, who has the time to read, these days, as I had asked in a post on Jan. 12 this year. Most people today declare they have no time. The blurb of Laura Vanderkam’s book ‘168 Hours‘ which I mentioned in that post is “You have more time than you think”. And she explains how. Perhaps the methods she suggests can be applied to all activities. WordPress, which controls 27 per cent of the Internet has “billions of posts” and billions cannot be wrong. And it is not the only blogging platform. Post a ‘haiku’ of three lines, a ten-word statement saying nothing, short tales of prescribed 50 or 100 words or abstract poems which need nothing but inspiration (and you can also take liberties with grammar — poetic licence, you see) and you get scores of likes and 100s of visits. Saying nothing is admired. If you give a lot of background, information from decades of experience, or a forceful argument, it involves thinking and reasoning — rare these days. You suggest a way out of the Babri masjid tangle, demand answers for a few questions on Islamic fundamentalism which go unanswered simply because they part of propaganda or go into the roots of corruption in India — no one likes or reads it. Old people have the bad habit of giving a lot of information. a s they cling to memories. Who wants to know about the 50-second documentary by Promod Pati in 1965. or how and when the ‘Last Post’ of military funerals originated. Or the C.B,Gupta-Kamalapati Tripathy rivalry? Or about minister V.B. Raju being in coma for a year. Or Balwantrai Mehta being the first CM to die in an aircrash. All information is useless. And God Google answers all questions. 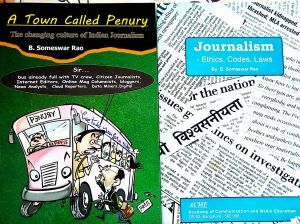 As someone quipped (where else but on WhatsApp) – there are five universities in India which provide all the knowledge this generation needs — the paan thela (cigarette shop), a barber’s saloon , a drunkard, the general compartment of a train and, of WhatsApp where unconfirmed facts, remedies and wisdom are “forwarded as received” – unverified and even unread.